It is a spacious shopper bag very simple and elegant, the real solution for women that live a life at the top. It can be used everywhere: beach, work or free time! The shoulder bag is comfort wear even when the bag is loaded with women’s or kids’s (!) stuff. The wide bag with all the space you need! Hand bag is small but it’s big enough. Think about this for a second. Think about the stuff that you want to have on you every day and then add a little more space, but only a little, just in case you need to throw one more thing when the situation demands it unexpected. Now, pay attention, this size of the handbag is right proportionate to body so you agree with us, the handbag is the party companion. Any traveling person needs a holdall for those weekend jaunts and long weekends or three-day business trips. And you need at least one; or only one, if it is quality leather made, Italian style look. Big, bulky luggage has transformed into sleek, stylish holdalls for each occasion. The design is inspired by the duffel bag, yes, but in leather, they are now more refined appearance attribute a classic look to this practical and useful tote. 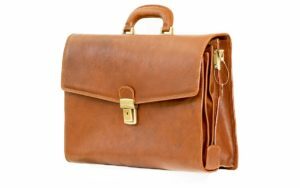 Briefcases are probably the first and oldest form of professional handbags. 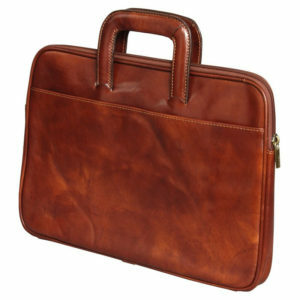 Naturally today briefcases, however, changed to a great deal since the days of our grandfather’s sharp-cornered case. They were so boxed and hard. 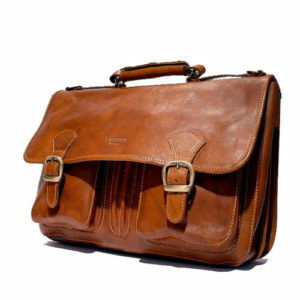 From them the only traditional element still present in the modern briefcase is the shape. Now materials, details, buckles, leather exterior, and practical interior compartments help make this bag a news and modern version but also a timeless addition to any working-man’s wardrobe. Yes, you really hope it doesn’t happen but…. it rains, may occur accidents or other situations that lead to the presence of water on the accessory so: how to dry a leather bag, a few steps without damaging the material. Nightmare: the wet leather bag! No prob Bro, we have remedies! It’s a classic: when you forget the umbrella, or when the predictions are wrong (yes, often! ), or when the children get bored, they can really cause damage, like spills in the precious leather bag. A bag of wet skin is a problem, because it is a material that absorbs and can therefore present swelling. First of all, do not panic, but intervene immediately. Miracles could not be done, unfortunately, if bag is damaged nothing can be done, except if an artisan performs a drastic intervention to replace the swollen skin. 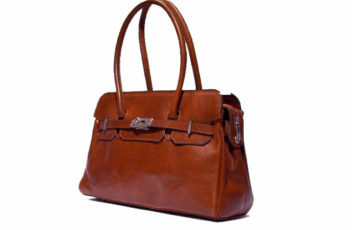 If you want quality leather accessories, I Medici in Firenze bags are the best solution, also for quality and price. But how to dry this garment if not damaged but wet is a risk that can compromise the quality? Do it immediately: dab the wet bag, simple, obvious! But how? The first step to do is to use a soft, dry cotton or flannel cloth, dab gently and without rubbing. In doing so, the moisture is absorbed and removed, but warning: rubbing may scratch the surface! It is better then to dry everything in a natural way and outside. If it is possible, the open air is a real cure, but it should not be exposed to direct sunlight, because heat can ruin and lighten the color of leather and leather in general and degrades the fibers. So, better to find a place in the shade and maybe with a little fresh breeze. But it is better not to dry it completely, to complete the routine better. It is forbidden, I repeat forbidden, to dry the bag with the hairdryer. Naturally it is also forbidden putting it on the radiator, or near an electric heater. Any source of heat can cause damage, above all it can leave unpleasant clear spots or unsightly spots. Once the excess moisture has been removed, the accessory must be gently activated, focusing on the areas that have been wet a lot. There are mixtures of nourishing oil, balsam for skin, or specific products, which are applied by massaging them and letting them dry for several hours. The purpose is to nourish the skin, but also to reintegrate the protection that the wet washed away. It is also for this reason that, for the normal cleaning of the leather bag, aggressive detergents should not be used, or worse, washed with neutral shampoo. If you are short of oils or protective products, sodium bicarbonate powder, talc or corn starch applied to the whole accessory and made to act for a whole night, will take the place. The next day it will become a yellowish powder that must be removed with a dry cloth. When the bag is completely dry, you can apply a linseed oil that will help to restore the gloss to the accessory and strengthen the structure. buy a waterproof product in a specific skin spray, so you do not have to perform all these operations. They protect from water in a preventive manner and the bag will not be ruined. Or use a beeswax cream is a natural solution that is very effective in waterproofing this material, as well as nourishing it. The bag will look like new. A graduation gift for a man? It could be a problem! Already making any gift to a man is not so easy and imagine, and it is not so different from reality that you have to invent something original and maybe even useful for a great day like graduation is, one of the best days on man’s (and woman) life! Yet an original idea for a graduation gift to a man is a question that has been asked to us so many times so now we are ingenious and informed, ready for the quest! Today we will see Best 3 Graduation Gift Ideas for a Man. The best ideas that have already been successfully proposed to thousands of graduates in the past, something that is evergreen. For every type of budget and just a click away! 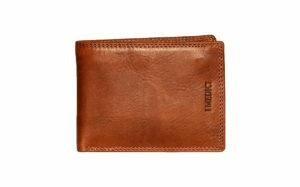 When it comes to men’s wallets, the best classic is the wallet for cards and banknotes, the most durable and best quality option is leather craft, with several compartments to hold cards and ATMs and the space needed to store personal documents such as identity cards and driving licenses: our Men’s wallet in classic leather is the classic model par excellence, an old-fashioned but always current portfolio, loved above all for its practicality and comfort. The detail that makes the difference and nothing is better than our I Medici of Florence Regent Wallet for a young man and his stylish new life. The I Medici of Florence bags are the most fascinating and popular men’s bags of the moment. Completely in leather, they are distinguished by a design that has had the ability to really please all men. In particular, it is increasingly popular as a graduation gift for men, given the success that is also gaining among young people, the success for a new professional. We are sure, a Medici of Florence bag is simply a wonderful, truly luxurious gift, even if it must be recognized that it is also very personal. 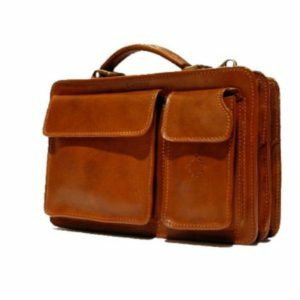 I Medici of Florence bags are many, but Classic Briefcase by I Medici is the best gift for a new graduate. The Duffel bag was born as icon in the surfer way of life in California, in the fifties. But was invented by ex-Navy personnel and east coast Australia. 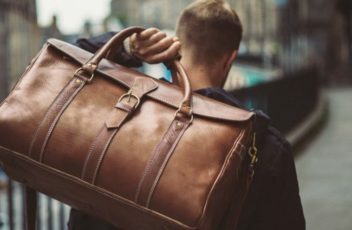 So what is better for a graduate ready for new life, free time and travels as carrying a duffel bag that is was synonymous to being cool, it was re-discovered as a luggage, a leather luggage and it’s still cool, terrifically cool. 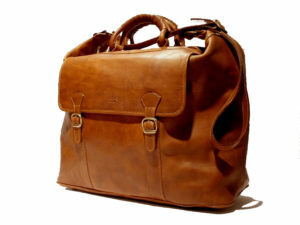 So the I Medici Duffel leather bag is a great gift for the young and active new man. It is not new for men to invest a lot of money and a good dose of courage in deciding which bag to choose to complete the look. Here we come to the rescue you from this impossibile mission, we have prepared a quick practical guide for those men who want the most beautiful and durable men’s bag, something that lasts over time and has the right style. 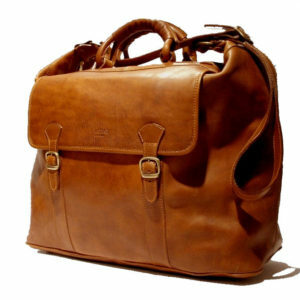 The Classic leather bag for men is the piece to start with if you have never had this type of accessory for men, a MUST. But do not be fooled by the classic word. Modern man is one of the thoughts our essential briefcase bag is perfect for any kind of occasion. But what about a backpack? It still remain the model that probably all men at some point in their life have worn. The interpretation I Medici with its BackPack is the right compromise between class, practicality and quality. At the contrary, If you are looking for a fashion revival, the men’s shoulder bags are an item that you find out of your grandparents or father wardrobe. A shoulder bag is not as small as a baby carrier, but it is large and practical enough to hold everything you need for traveling in the weekend or cruising around town other days. But not only that, the one-side bag has all the advantage and originality you need to be the king of style, as is our Business Grande Bag. If, on the other hand, you want a travel bag big enough to carry a change of clothes, toiletries and perhaps all the technological and manly devices, the travel bags for men are your first choice and certainly the best. Start with this travel bag, a medium-sized travel duffel Bauletto made of full-grain calf leather completely made in Italy, so you can show off all your charm in terms of style, yes, it’s not our business, but yes…it is! Instead of the hand bags you can opt for something more capacious and sophisticated masculine: The Medici in Florence has also thought about this, our 9300, the real Pak-n-Stak. 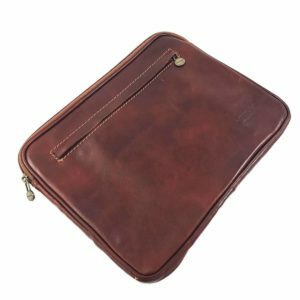 A beautiful travel bag in brown leather to be worn strictly by hand or over the shoulder. Now you have some guidance on how to choose what you need, what are you waiting for? Choose Now! Buying high quality leather items is not always simple and easy as it seems if you are not choosing from I Medici in Firenze store. Clearly you can simply choose a leather bag from us or go around and pay without worrying about the item quality, but we think that if you are looking for something special and lasting, there are some details and suggestion to follow that I Medici in Firenze could tell if you are not buying at our store (we really know you’ll never do that). First: take care of all the details, including wires, zips and quality of metal parts. For a quick reference here we give to you the seven elements you got to know to buy a good leather bag. Buying items of leather Made in Italy is the first element for quality leather items and handbags. And you will recognize them from the inside or outside printed logo: Made in Italy. Be careful the Made in Italy brand is not enough to guarantee the best quality but allows you be in right direction. Then choose the named and famous Brands: as i Medici in Firenze is, a brand with a long history in quality leather production. You will need additional characteristics to find a excellent leather product, see below. If possible examine the leather item you are about to buy, every detail, every finish, and if it is Made in Italy you will see an item of high quality, high details creation. If not passible as with ecommerce: check for the possibility of the return of the item (we got it 🙂 ). Important: the smell. You need to smell a good scent, the genuine skin the leather is a pleasure to smell, if the leather smells good this is a quality signal. No vinyl or glue accent must be present. High quality leather is heavier than the other type of leather, that is due to its high fiber density: so the higher is, the better the quality is. 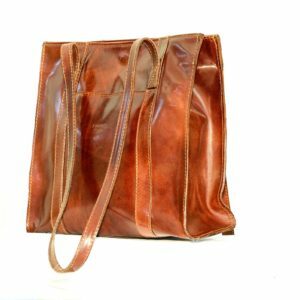 Today, the ecological aspect of a genuine leather product is necessary, the leather products with vegetal tanning treatment allows makers to have handbags made with products that are not harmful to our environment. And also do not cause irritation to those who use the leather bag. The vegetal tanned treatment is typical of the Tuscany area and I medici in Firenze sell only this kind of green products . After checking the material, the stitching check is passed. The handmade seam is more durable and beautiful to see than the one made by machinery, both are great but the hand made makes the product more expensive. You will never see a real quality leather bag, purse, briefcase or wallet a the price of a plastic or nylon bag because the price of the material is very different so, after checking the previous points be careful to price. Understand us: you don’t have to pay thousand of euros for a quality bag but it if very, very difficult that some one decide to sell you quality product at super discount price, if price seems unbelievable probably… it is (or the items is not good as they told you). So be careful. And last but not least: the place where you buy. You have to feel free to choose, to refuse, to came back. Buy products in place where you know they produce the leather items, buy form well known resellers. 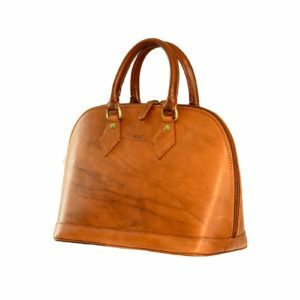 To conclude, if you want to buy a quality leather bag you can do two things: do your tests and take your risks and go crazy buying from other sellers or more simply choosing from wonderful leather bags offered by I Medici in Firenze, 100% high quality Italian products.